Sluice boxes have been used by gold prospectors for years. The bottom of a sluice box is covered with so-called riffles. Water flows through these riffles, and any heavy material, including gold, falls to the bottom of the box while the water and any lighter materials, including sand, is washed away. You can save money by constructing your own wooden sluice box. Saw eight 1-foot-long sections of 1-inch wooden dowels. You will attach these dowels to the box to act as riffles and supports. Prepare the piece of plywood that is 1 foot wide by 4 feet long. This piece will be the base of the sluice box. Use two screws to attach the first dowel at one end of this piece, width-wise. Make sure that each end of the dowel, or riffle, is flush against the baseboard's side edges and is aligned with the opposite end of the board. Use two screws to attach the second dowel 6 inches from the first riffle. Use two screws to attach each additional riffle, attaching one riffle every 6 inches, for a total of six riffles. The riffles should span the width of the base board. Review your progress. Starting at one end, there should be six dowels attached every 6 inches, leaving about one foot of board at the opposite end, riffle-free. Attach the side boards to either side of the baseboard at 90 degrees. When screwing in the side boards, make sure to go through the side board and all the way into the baseboard and the riffle ends so that the side boards are secured in place. Attach two 1-inch dowels between the side boards at each end of the sluice box to provide additional support. The first support dowel slides between the side boards at one end of the sluice box, at the top of the side boards. Use two screws, one through each side board and into the ends of the stabilizing dowel, to secure everything into place. Repeat on the other end, and try out your completed wooden sluice box. 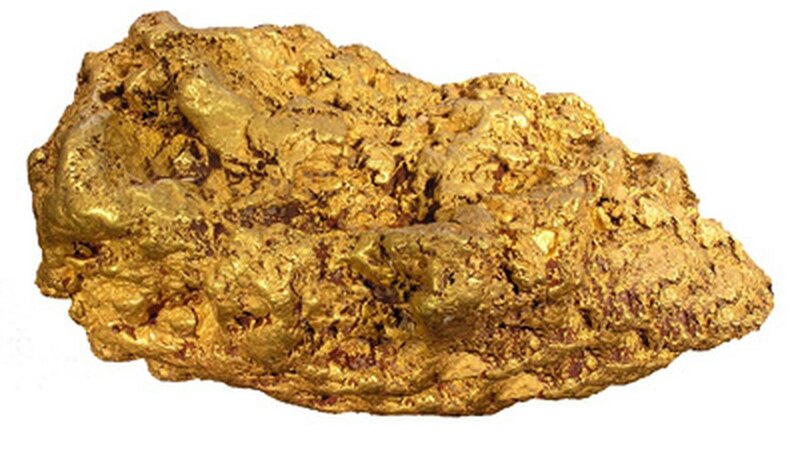 Make sure gold prospecting is not illegal in your state.